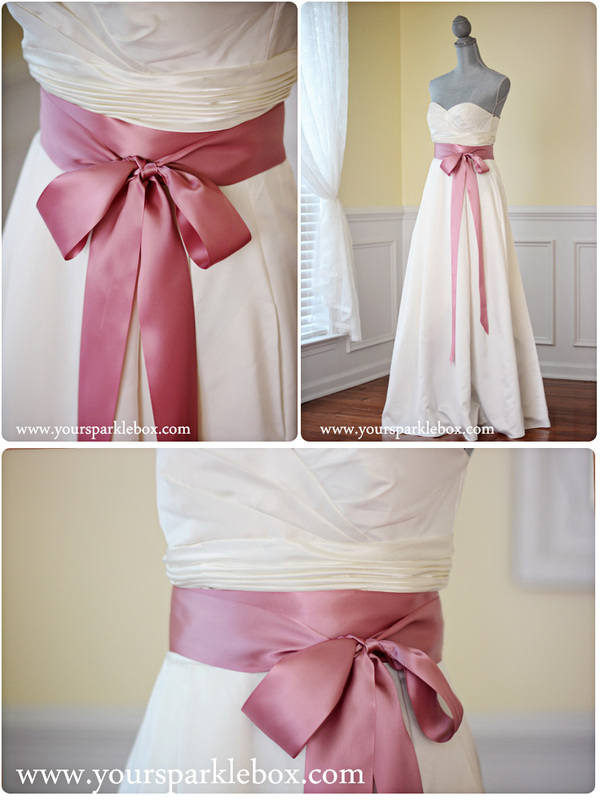 A luxurious, chic and simple sash made of the highest quality, double faced satin is the perfect accessory for a wedding gown or bridesmaids dress and an elegant way to bring a pop of color to your wedding day style. My sashes are all made to be worn in the double wrap style, tied in a beautifully draping bow in the front or back. At a standard length of 144 inches, they are made to fit all sizes with long tails. I can customize your length per your request if you are petite or prefer your sash to have shorter tails. I only use the highest quality materials and guarantee the soft, luxurious look and feel of your bridal sash will be the perfect compliment to your ensemble. The edges are professionally sealed with a crisp, clean edge. Bridal sashes will ship out within 48 hours of payment. If you need sashes for a large wedding party, please contact me so I can assist you in your purchase.